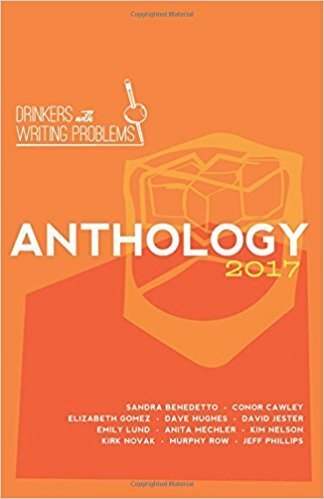 We at Drinkers with Writing Problems are excited to announce that we now have a printed Anthology! The book is a culmination of 5 years of writing together as a group, featuring some of our favorite pieces going back to the first year of this blog. We poured our hard work, sweat, precious free time, and emotions into this project, and spilled more than a little bourbon along the way. It’s crazy for us to think that since 2012, this little band of barstool bards has amassed over 1,000 pieces of work and 9,000 followers. We thank you from the bottom of our booze-soaked hearts for reading along all these years, and hope that you check out the Anthology! It turned out pretty rad, if we do say so ourselves.